There are many brands and models of OBD2 adapter on the market. They are popular among DIYers, car enthusiasts, or even professional mechanics. An adapter is paired with your smartphone, tablet, or laptop, and it works as a car diagnostic scan tool. Although there are numerous brands and models, there is a handful of them you can trust and buy with confidence. Here are the best OBD2 adapters in 2018. 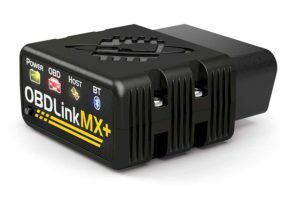 OBDLink MX+ is a fast and reliable OBD adapter. It’s up to 8 times faster than competitors, meaning that it’s capable of providing more data points and quick responses. Thus, you will see graphs, meters, and gauges in apps move more smoothly and look more realistic. The adapter is tiny and light. Probably, there is no problem wherever an OBD port is located. Enhanced Diagnostics are available for supported makes and models. You can perform that in their original app called OBDLink (free) with an add-on activated. Each add-on used to cost, but now all of them are FREE. Enhanced Diagnostics allow you to scan additional modules such as ABS, SRS, TPMS, Transmission, etc. At the time of writing, supported makes are GM, Ford, Toyota, Nissan, and Mazda. This coverage is narrower than BlueDriver’s. OBDLink MX+ is compatible with many third-party apps like Torque and DashCommand. For some supported vehicles, you can even lock/unlock the doors, or remote-start with third-party app called obdCANeX. 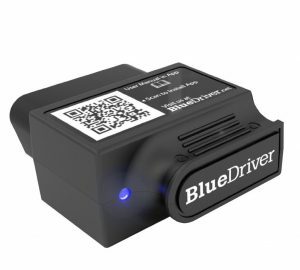 BlueDriver is an OBD2 adapter using Bluetooth to connect with your devices created by the company called Lemur Vehicle Monitors. The adapter exclusively works with their mobile app called BlueDriver app. The app is free to download and available for Android and iOS devices. BlueDriver is focused on vehicle’s diagnostics. Not only can you retrieve engine trouble codes with descriptions, but you can access to Repair Report containing details of the problem, possible causes, and confirmed fixes. Enhanced Diagnostics are available for supported makes and models. BlueDriver can access other vehicle’s modules such as ABS, SRS, TPMS, Transmission, etc. At the time of writing, supported makes are GM, Ford, Chrysler, Toyota, Nissan, Honda, BMW, and VW with some models exceptions. This coverage is expanding. In fact, when the adapter was just released, Enhanced Diagnostics were available for only GM, Ford, Chrysler. Please note that although Enhanced Diagnostics are not available for your vehicle, all features of engine diagnostics are available for any vehicle with an OBD2 port. Before you buy BlueDriver, you need to make sure of a couple of things. The adapter works with the BlueDriver app only. If you want to use third-party OBD apps, BlueDriver is not the right adapter for you. And, the BlueDriver app is available on Google Play Store for Android and Apple App Store for iOS devices. There is no app for Windows. BlueDriver is a professional OBD2 adapter. If you want the adapter mainly for engine diagnostics, BlueDriver will be a great help to you. Plus, Enhanced Diagnostics are available for supported vehicles. And keep in mind that the coverage is expanding. All these features are included with a purchase of the adapter. The app is free, and there are no in-app purchases. BlueDriver is available at amazon.com with one-year limited warranty. Click here to see the latest price of BlueDriver. BAFX Products Bluetooth Diagnostic OBDII Reader is one of the top selling OBD adapters for many years. It’s just a basic OBD adapter without special features. But, it works with many third-party OBD apps like Torque and DashCommand. The reason it’s been popular for a long time is that the adapter is reliable and sold by manufacturer only. So, there are no copies or clones as long as you buy at amazon.com. Before you buy BAFX Products Bluetooth adapter, please note that it’s compatible with Android or Windows. If you own iOS devices, you should choose the WiFi version of the adapter. And, the size of the adapter is kind of big. Overall length is 3.5-inch. Depending on the location of an OBD port, it may bother your driving or fall down by itself. If so, consider using an extension cable. BAFX Products Bluetooth adapter is a generic OBD adapter with basic features. It’s very inexpensive, but reliable. And, it comes with 2-year manufacturer warranty. 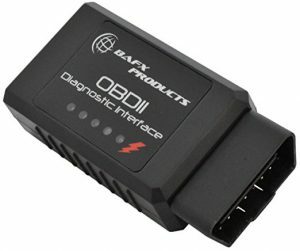 Click here to see the latest price of BAFX Products OBD adapter.